ecratum is four years online! 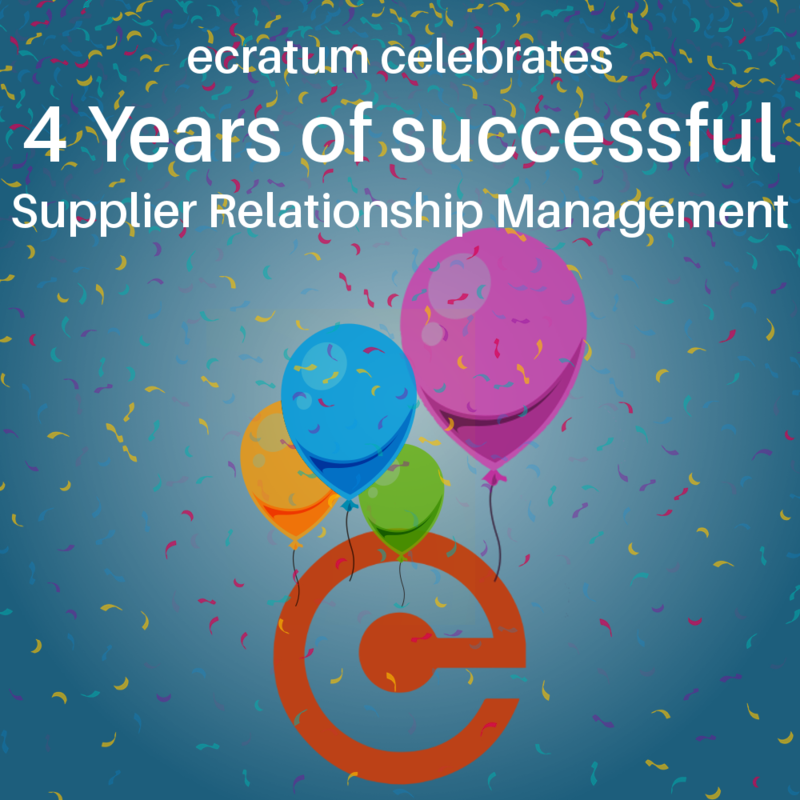 ecratum celebrates today its fourth anniversary! For this occasion, we would like to thank all our users for the amazing collaboration. ecratum finished among the top 3 finalist in the category “Business process” at the Quantensprung Award 2016 (“Quantum leap award” in english). The Quantensprung Award is an innovation price rewarding disruptives business models. The gala took place on June 20th in Berlin in an ancient fabric renovated into an event location. 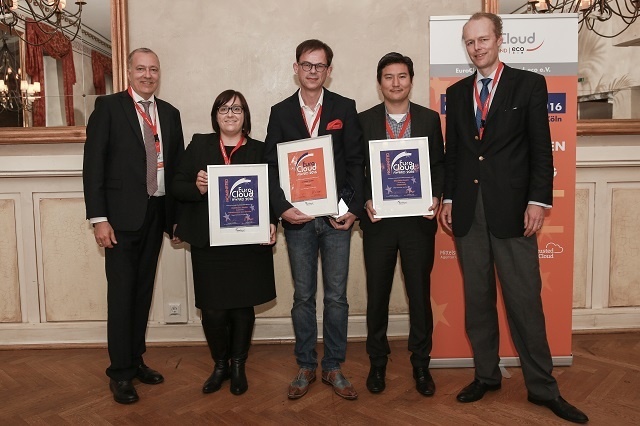 New prize "EuroCloud Germany Award"
ecratum has been distinguished for its SRM application with the EuroCloud Germany Award in the category Best Cloud Service for Horizontal Markets. ecratum has prevailed against its competitors on criteria such as the quality of its service, its interoperabilty, its data portability and its data security. An important potential to establish internationally in the european market was a further criterion differentiating us from our competitors. The winners of the german Award is also qualified for the international competition and have a chance to win the EuroCloud Europe Award. Working together with your suppliers on ecratum: from supplier management or document management up to supplier evaluation and audit follow ups. Strenghten your business relationship in the long-term to reduce time inefficiency and costs in the purchasing and quality management departements. With the ROI Calculator (Return on Investment) on our website you can discover the savings with ecratum. Last week, ecratum recieved the "Best-of Industriepreis 2016" as innovative solution in the category “IT & Software solutions”. ecratum now offers you the possibility to directly register for an online demonstration ! Try it now and schedule a free demo: you will have the opportunity to learn more about our portal and features. Our team will explain to you the different features offered by ecratum and answer your questions. 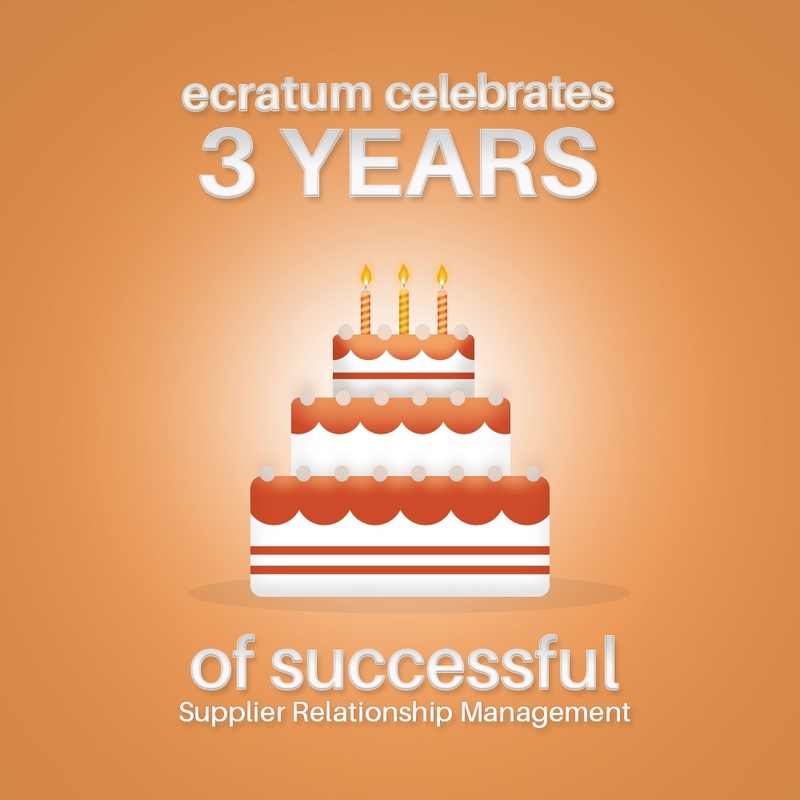 ecratum is 3 years online! ecratum is celebrates its third birthday and that's a a good reason to say thank you! We would like to thank all our customers, suppliers and employees for their great cooperation. Do you know our ecratum partner page on the website? We present you there a selection of businesses with whom we cooperate. You can currently find on this page companies offering webbased solutions in the domain of management and reporting on Corporate Social Responsibility, Inventory Management and Database for Risks in Food Safety. We team up with these companies to offer you the best support for your daily business in different divisions. Last week, ecratum has been awarded as exceptionally innovative solution in the category “Quality Management” from the Initiative Mittelstand.